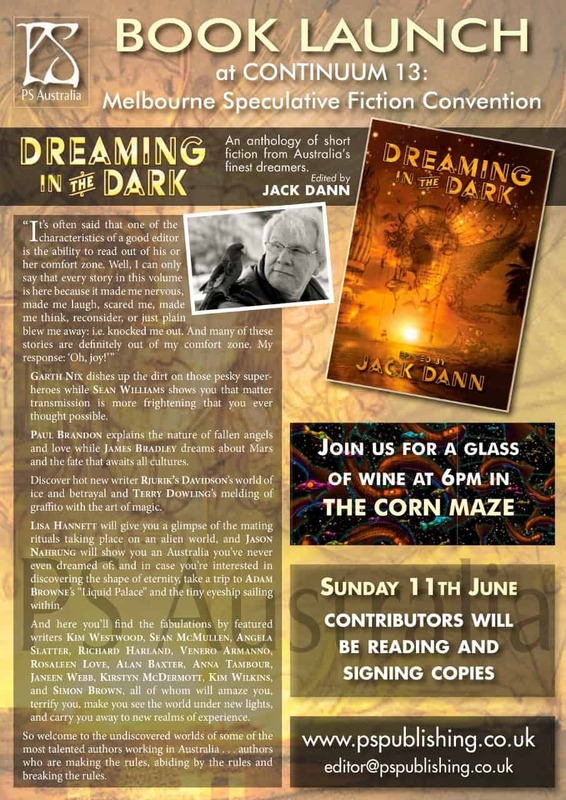 The Melbourne launch of Dreaming in the Dark will take place at the Continuum 13 National Science Fiction Convention at 6:00 pm at the Jasper Hotel, 489 Elizabeth Street, Melbourne. I can promise everyone a great time…and our authors will be there to read and sign books. Oh, and I just may do some schtick <Grin>. Join us for a drink and nibbles! A launch that we should all be looking forward. This is one of the books that could inspire us. Make sure that you give some time to check out this launch.